Well, I have the bases finished, the transfers on them, and I used ‘ard Coat and Lahmian Medium to seal them up and take the shine off. 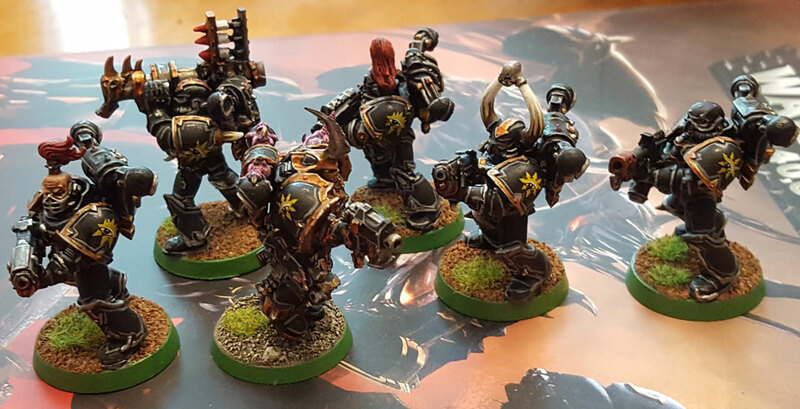 Now these Black Legion fellas are ready to join the Black Crusade against the False Corpse Emperor and his weak, mewling servants! 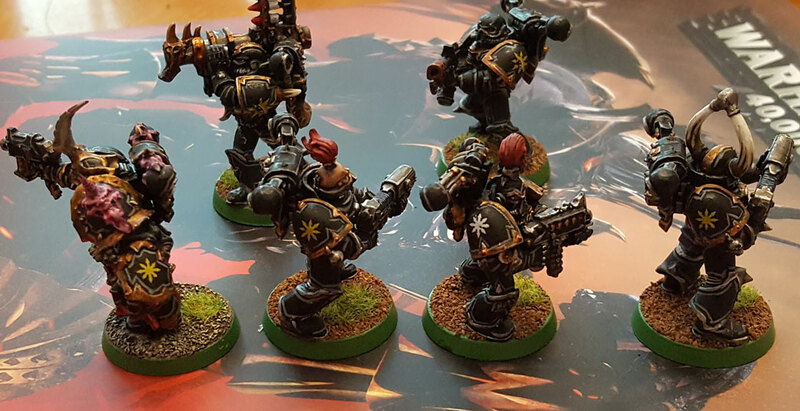 Two of the squad didn’t get the stars, mainly because the other shoulder pad on them was not conducive to a transfer. But they all now match up with the rest of my Black Legion forces. One note: the ballast on the bases of most of my Black Legion guys is unpainted. That’s because there was a time when I didn’t paint my ballast, or even attach it until after the model was primed. For the champion here, I went with a different building procedure and added the ballast to the base before priming. So, rather than leave the ballast black, I went ahead and painted it. That’s just one more feature that will help him stand out.